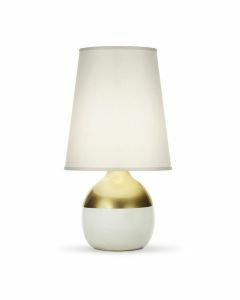 Illuminate any interior with beauty and style! 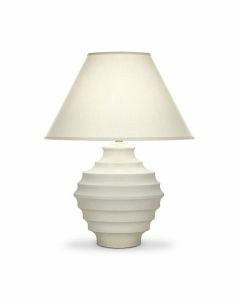 This fabulous Mill Reef table lamp measures 30"H x 17"D. The off white polyester round hardback shade measures 14" x 17" x 12'SH. Click on images for greater detail.